F5 acquires NGINX for $670 million, Citrix networks breached, 19-year-old bug in WinRAR, images compromising Android devices, and LibreOffice remote code execution vulnerability. 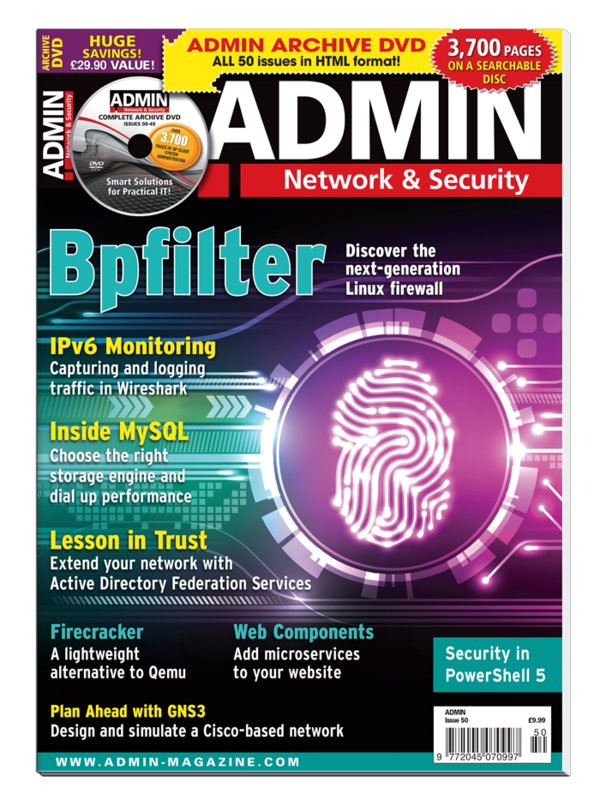 With the netfilter layer and iptables interface showing their age, bpfilter is the latest chance for Linux to adopt a state-of-the-art packet filter. The first stable release offers scientific and technical programmers a convenient tool that is as fast as Fortran and as easy as Python. The free Wireshark tool provides valuable error analysis when monitoring IPv6 communications. The GNS3 network simulator is a convenient open source tool for the design and simulation of Cisco-based networks. Choose from among a number of open source database storage engines for both general and specialized data. Text-based user interface (TUI) tools have reasonable graphics but do not require a display server on the system. Enable free service mesh functionality on your Kubernetes microservice apps. The new course proposed for the CI/CD Jenkins service includes a cloud-native version. Define your own HTML tags to restructure monolithic web pages into smaller services and simplify maintenance and servicing. Migrating to a public cloud can solve your Drupal problems with sluggish performance or repeated failures. The AWS hybrid storage service provides a seamless connection to Amazon S3 storage for local applications. Problems with ADFS trusts can affect network access for Office 365 or associated partner companies. Fortunately, administrators have various monitoring options. Slowdowns four orders of magnitude from the ideal performance level when renaming files prompts a cloud exploration. It could take up to 8 weeks depending on your delivery region.